Director of HCMC Urban Railway Management Board Bui Xuan Cuong yesterday said that premise handover is expected to come in the first quarter of 2020 for contractors to implement the second metro line project, Ben Thanh-Tham Luong. Speaking at a meeting with deputy chairman of HCMC People’s Committee Tran Vinh Tuyen, Mr. Cuong prompted review and implementation of site clearance procedures to hand over the premise for the project in the first quarter of 2019 as expected. 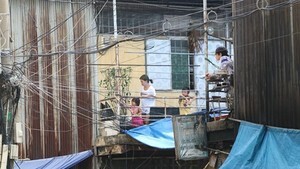 Mr. Cuong said that the project’s adjustment will be done in June this year. Afterward, selection of main bid packages and removal of technical infrastructure need be sped up. Referring to the first phase of metro line no.5 from Saigon Bridge to Bay Hien crossroads, Mr. Cuong proposed the city People’s Committee to consider approving supplementation of consulting bid packages, building and completion of pre-feasibility study report and an advance on the city budget for investment preparation for the project. 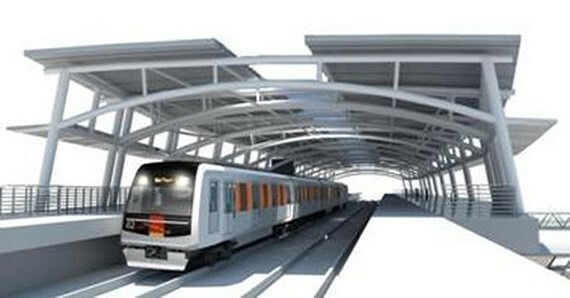 To the first metro line Ben Thanh-Suoi Tien, he proposed the committee to permit extension of some bid packages and payment to contractors according to items in contracts instead of temporary calculation. Agreeing with the board’s proposals, Mr. Tuyen required the board together with relevant agencies to abide by public investment procedures, keep a close eye on relevant works to speed up the progress of the projects and report problems beyond their jurisdiction to city leaders to consider solving.